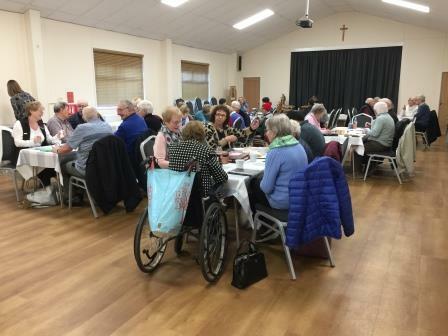 The next Angels Corner Cafe (Dementia Friendly) will be on Sunday 17 February, 12:00pm – 2:30pm at St. Columba’s Church Hall, Highroad Well Lane, HX2 OQF. It will then open on the third Sunday of every month. Refreshments will be available also: £2.00. This Cafe caters for vulnerable, isolated people and people with dementia with their carers, friends and/or families and anybody else wishing to attend. People are invited to attend by simply ‘popping in’ to relax, enjoy, have fun with different activities, listen to Music, ‘sing a long’ or chat and make new friends in a welcoming and friendly environment. Arts, Crafts, Games, Quizzes, Word searches, Bingo. Through the various activities and informal and social environment in which new skills may be learnt, will also be catered for. The Cafe also provides a safe, comfortable and supportive environment.